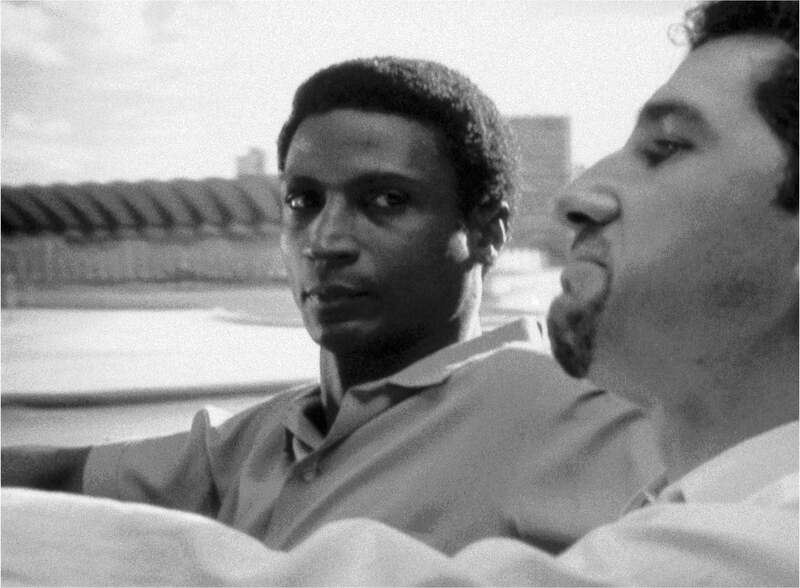 Converging documentary and fictional footage, Stan Douglas’s film, Inconsolable Memories, is based in part on a Cuban film from 1968, Memories of Underdevelopment. 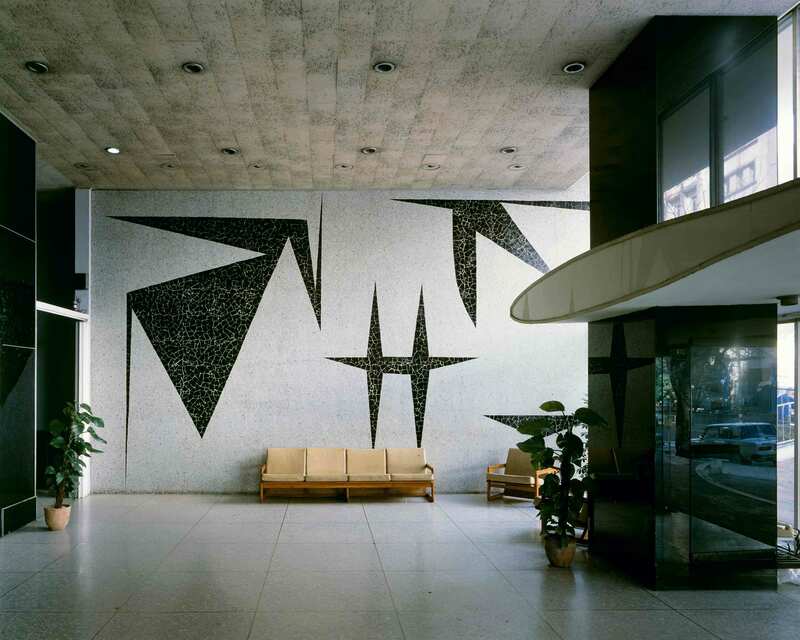 The original film by, Tomás Gutiérrez Alea, portrayed the alienation of a character named Sergio, a bourgeois intellectual struggling in the social climate of Cuba in the early sixties, after the Bay of Pigs invasion and missile crisis. 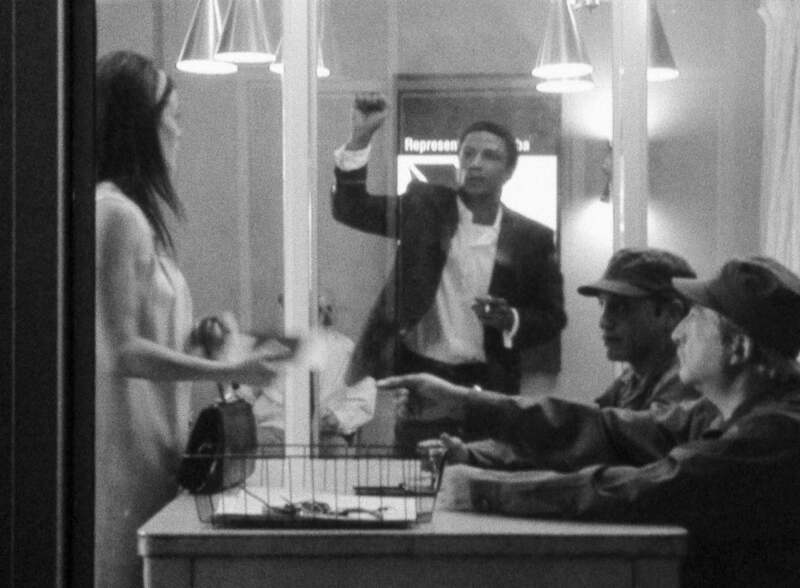 Douglas’s film fast-forwards the same character to the 1980 Mariel Boatlift, when Fidel Castro allowed a temporary lift of emigration restrictions and some 125,000 Cubans left for the United States. Given the opportunity to leave, Sergio chooses to stay in the fractured city. In Inconsolable Memories, Douglas manipulates Alea’s original film by retaining the characters but introducing a divergent historical setting. The past and present overlap with the interplay of two black-and-white, 16-mm film loops projected simultaneously onto one screen. Inconsolable Memories is accompanied here by a series of recent photographs by Douglas. 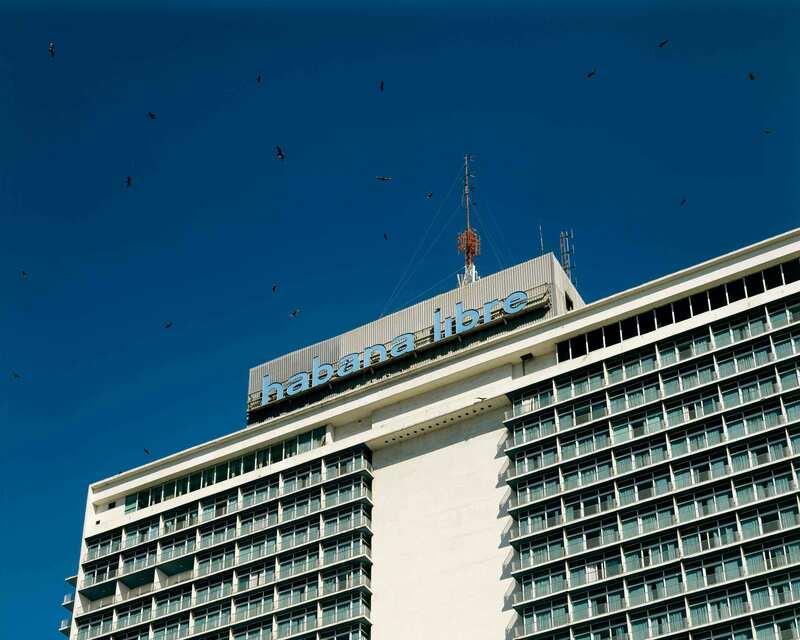 Shot in and around Havana, these images reveal the urban landscape of Cuba today. They depict instances of the city’s recycled urban architecture, in which banks have been converted into motorcycle lots, villas are now schools, and a cinema has become a carpentry shop. Highlighting the evolutionary needs of the twenty-first century, the photographs trace a history of development, colonialism and the transformations of society. Born in Vancouver, British Columbia, in 1960, Douglas works in film, video, photography and installation. He attended the Emily Carr College of Art and Design from 1979 to 1982 and currently lives and works in Vancouver. Internationally known for his use of innovative techniques to blur the boundaries between visual art, cinema and television, Douglas has presented his work in major exhibitions such as Documenta XI in Kassel, Germany, in 2002, and the 2005 Venice Biennale.